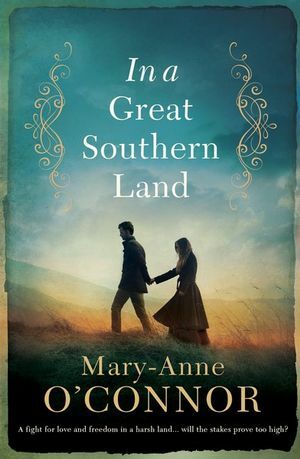 Mary-Anne O’Connor’s new book, In a Great Southern Land, is an epic, sweeping tale revolving around a clever, spirited woman and a fiery, charismatic Irishman. Dramatic, gripping and colourful, it’s historical fiction of a quality that will take you on a beguiling roller-coaster ride, skillfully written by an author inspired by her own family history. Across the English Channel in Liverpool, England, in the same year, we meet our heroine, Eve Richards. The daughter of a genteel man, a widowed butler who works for an aristocratic family, hers has been a life of relative safety thus far, but in the shadow of her father’s recent death, Eve’s future has become precarious with the dastardly son of the lord of the manor, out to seduce her. On the verge of escaping to work for another family, Eve’s life takes the first of many twists and turns. Things go from bad to worse when she’s found guilty of a crime she didn’t convict and is sentenced to be transported to Australia as a convict. While Keiran’s is a journey born of hope and optimism, he still wears his history, nursing a desire for vengeance against the oppression he experienced at home. Eve is deeply damaged. Not only have the horrors of the sea crossing – disease, starvation, cruelty – taken their toll, she has been shamed and judged by society, her conviction the final straw. Fate throws Kieran and Eve on a collision course soon after they arrive in Australia before separating them soon afterwards, a meeting neither can forget. From then on, the undertow of their love story runs through the plot like a seam of gold, and whether it will survive all the misadventures and dangers is the question that hovers over the story almost to the last page. Genuinely likeable characters, they endure some awful experiences, until you’re desperate for them to have a happy ending. On the goldfields we witness the inhuman treatment of the miners coalescing into a rebellion. If you enjoy stories of adventure and romance carved from history, along with an enthralling story of two star-crossed lovers that takes you from the soft green hills of Ireland to the rugged Shipwreck Coast of Victoria, then In a Great Southern Land is the book for you. 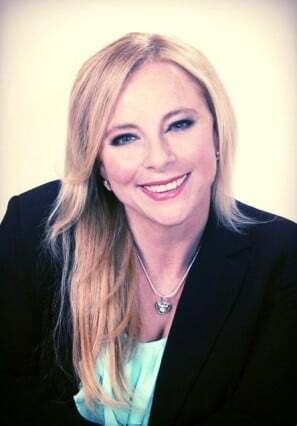 Mary-Anne O’Connor has a combined arts education degree with specialities in environment, music and literature. She works in marketing and co-wrote/edited A Brush with Light and Secrets of the Brush with Kevin Best. Mary-Anne lives in a house overlooking her beloved bushland in northern Sydney with her husband Anthony, their two sons Jimmy and Jack, and their very spoilt dog Saxon. This is her fourth major novel. Her previous novels, Gallipoli Street (2015), Worth Fighting For (2016) and War Flower (2017), have all been bestsellers. Keen to read more books about women in history? WIN prizes valued at over $1000 with Herstory: Books that write Her back into History at harpercollins.com.au/herstory.